Chad Griffioen is a Project Manager at SERVPRO of Big Rapids/Fremont. Upon joining our team in 2013 he has completed our SERVPRO Employee Certification Training Program. He has the following certifications from the Institute of Inspection Cleaning and Restoration Certification (llCRC): Water Removal Technician, Applied Structural Drying Technician and Carpet Cleaning. Other experience with Fire and Smoke Damage Restoration and Bio-Hazards Clean Up. Chad’s daily tasks consist of visiting jobs and homeowners that were affected and monitoring the drying of structure making sure the customer is educated on the process. Along with his experience he has compassion for the customer needs and has great listening and customer service skills. 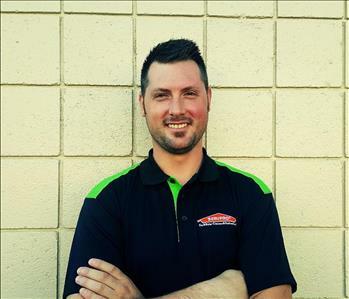 Simon Buzalski is one of our Project Manager at SERVPRO of Big Rapids/Fremont. Upon joining our team in 2016 he has completed our SERVPRO Employee Certification Training Program. 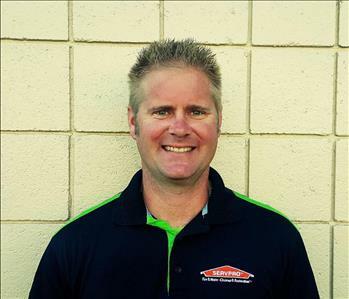 Simon also comes from multiple years of experience in the restoration business prior to working for SERVPRO! He has the following certifications from the Institute of Inspection Cleaning and Restoration Certification (llCRC): Water Removal Technician, Applied Structural Drying Technician and Carpet Cleaning. Other experience with Fire and Smoke Damage Restoration and Bio-Hazards Clean Up. Simon is one of the main points of contact when it comes to insurance agents and adjusters for Estimates and Monitoring jobs to make the project run smoothly. Simon Enjoys spending time with dog and playing multiple sports. Football being one of his favorites. Eric Ledford is a Project Manager at SERVPRO of Big Rapids/Fremont. Upon joining our team in 2015 he has completed our SERVPRO Employee Certification Training Program. He has the following certifications from the Institute of Inspection Cleaning and Restoration Certification (llCRC): Water Removal Technician, Applied Structural Drying Technician and Carpet Cleaning. Other experience with Fire and Smoke Damage Restoration and Bio-Hazards Clean Up. Eric enjoys his free time being outside hunting and fishing with his dog. He is also pretty talented at racing dirt bikes. Dan Maly is our Operations Manager responsible for inventory control, equipment repair, fleet oversight and small claims collections. 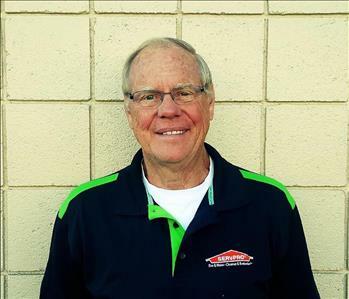 Upon joining our team in July 2013, he completed out SERVPRO Employee Certification Training Program. 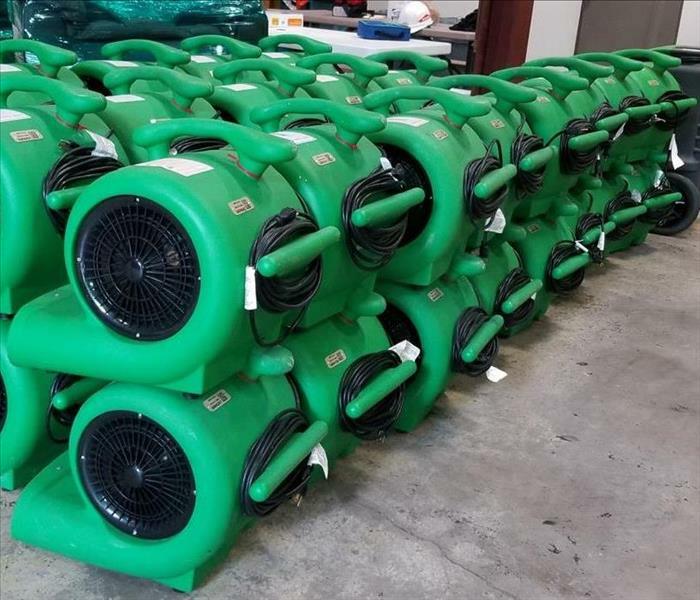 As a certified Water Damage Restoration Technician from the Institute of Inspection Cleaning and Restoration Certification (IICRC), Dan also spends much of his time backing up the Production Team. Having spent most of his career in construction-related industries such as electrical, HVAC, equipment rental and fleet management, Dan is a wealth of knowledge with regard of commercial water and fire cleanup. In his spare time, Dan enjoys spending time with his youngest two children. Most often this involves supporting his son with sports. Dan and his daughter enjoy bass fishing or just watching a movie together. One of Dan’s passions has been traveling, most of which has been while doing short-term mission projects to places like Ciudad Juarez, Mexico; San Raymundo, Guatemala and Annville, Kentucky. Eric Wheaton is a Production Technician at SERVPRO of NE Grand Rapids and Big Rapids/Fremont. Upon joining our team in 2015 he has completed our SERVPRO Employee Certification Training Program. He has the following certifications from the Institute of Inspection Cleaning and Restoration Certification (llCRC): Water Removal Technician, Applied Structural Drying Technician and Carpet Cleaning. Other experience with Fire and Smoke Damage Restoration and Bio-Hazards Clean Up. 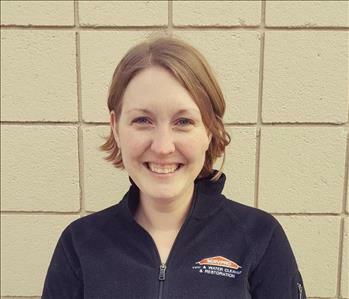 Casey Parmeter is a Production Technician at SERVPRO of NE Grand Rapids and Big Rapids/Fremont. 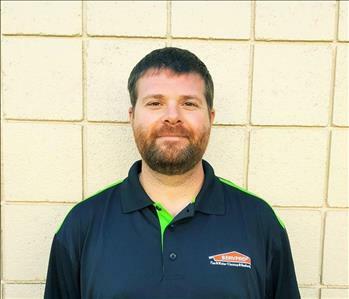 Upon joining our team in 2015 he has completed our SERVPRO Employee Certification Training Program. He has the following certifications from the Institute of Inspection Cleaning and Restoration Certification (llCRC): Water Removal Technician, Applied Structural Drying Technician and Carpet Cleaning. Other experience with Fire and Smoke Damage Restoration and Bio-Hazards Clean Up. Nate Carlson is a Production Technician at SERVPRO of NE Grand Rapids and Big Rapids/Fremont. Upon joining our team in 2016 he has completed our SERVPRO Employee Certification Training Program. He has the following certifications from the Institute of Inspection Cleaning and Restoration Certification (llCRC): Water Removal Technician, Applied Structural Drying Technician and Carpet Cleaning. Other experience with Fire and Smoke Damage Restoration and Bio-Hazards Clean Up. Joe Deboer is a Production Technician at SERVPRO of NE Grand Rapids and Big Rapids/Fremont. Upon joining our team in 2016 he has completed our SERVPRO Employee Certification Training Program. He has the following certifications from the Institute of Inspection Cleaning and Restoration Certification (llCRC): Water Removal Technician, Applied Structural Drying Technician and Carpet Cleaning. Other experience with Fire and Smoke Damage Restoration and Bio-Hazards Clean Up. 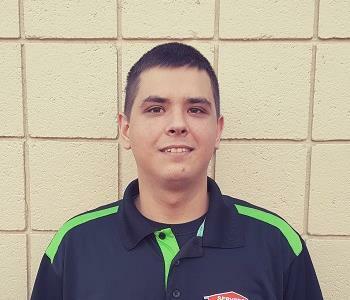 Branden Timm is a Production Technician at SERVPRO of NE Grand Rapids and Big Rapids/Fremont. Upon joining our team in 2017 he has completed our SERVPRO Employee Certification Training Program. He has the following certifications from the Institute of Inspection Cleaning and Restoration Certification (llCRC): Water Removal Technician, Applied Structural Drying Technician and Carpet Cleaning. Other experience with Fire and Smoke Damage Restoration and Bio-Hazards Clean Up. Branden enjoys spending time with his family as much as possible. He likes to take out his wife and his son to dinner and the movies. 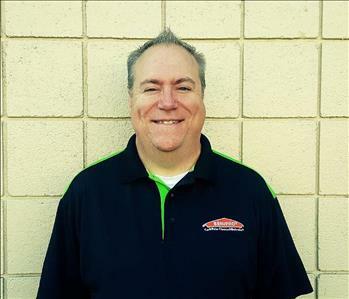 Steve Smith is a Sales and Marketing Manager at SERVPRO of NE Grand Rapids and Big Rapids/Fremont. Upon joining our team in 2015 he has completed our SERVPRO Employee Certification Training Program. He has the following certifications from the Institute of Inspection Cleaning and Restoration Certification (llCRC): Water Removal Technician, Applied Structural Drying Technician and Carpet Cleaning. Other experience with Fire and Smoke Damage Restoration. Steve manages our relationships in our serving areas with Insurance agents and adjusters with events and learnings. He is involved in the community to keep awareness about our services in case of an emergency happens. Staying involved with local Chamber of Commerce events and American Red Cross. Dawn Walters is an Online Marketing Manager at SERVPRO of NE Grand Rapids and Big Rapids/Fremont. Upon joining our team in 2017 she has completed our SERVPRO Employee Certification Training Program. She has the following certifications from the Institute of Inspection Cleaning and Restoration Certification (llCRC): Water Removal Technician, Applied Structural Drying Technician and Carpet Cleaning. Other experience with Fire and Smoke Damage Restoration. Dawn manages our relationships in our serving areas with online relationships and social media connections with our local community. She is involved in keeping awareness about our services in case of an emergency happens. Outreach marketing businesses and customers with events and learnings about company. Susan Rozema is an Accounting Manager at SERVPRO of NE Grand Rapids and Big Rapids/Fremont. 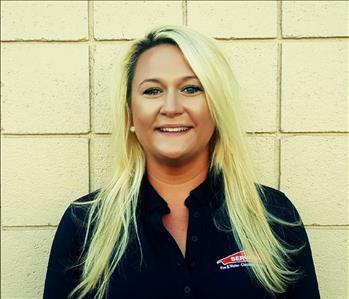 Upon joining our team in 2017 she has completed our SERVPRO Employee Certification Training Program. She has the following certifications from the Institute of Inspection Cleaning and Restoration Certification (llCRC): Water Removal Technician, Applied Structural Drying Technician and Carpet Cleaning. Other experience with Fire and Smoke Damage Restoration. Susan comes with a lot of experience in the business and passion for what she does every day. Susan enjoys spending time with her family and playing games. When she finds free time, she likes to curl up with a good book. Nick Papaleo is our Job File Coordinator at SERVPRO of Big Rapids/Fremont. Upon joining our team in 2018 he has completed our SERVPRO Employee Certification Training Program. He has the following certifications from the Institute of Inspection Cleaning and Restoration Certification (llCRC): Water Removal Technician, Applied Structural Drying Technician and Carpet Cleaning. Other experience with Fire and Smoke Damage Restoration and Bio-Hazards Clean Up. 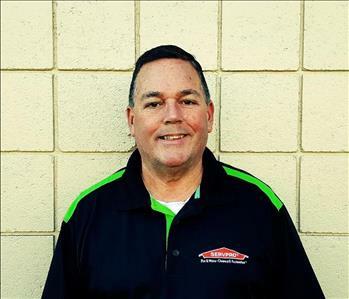 Dennis Deltaan is a Production Technician at SERVPRO of NE Grand Rapids and Big Rapids/Fremont. Upon joining our team in 2016 he has completed our SERVPRO Employee Certification Training Program. He has the following certifications from the Institute of Inspection Cleaning and Restoration Certification (llCRC): Water Removal Technician, Applied Structural Drying Technician and Carpet Cleaning. Other experience with Fire and Smoke Damage Restoration and Bio-Hazards Clean Up. 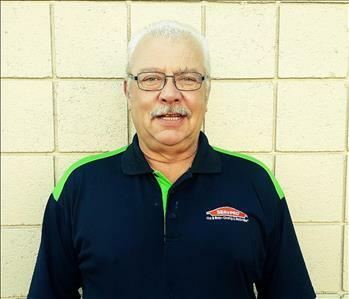 Harold Griffioen is a Shop Maintenance Manager at SERVPRO of NE Grand Rapids and Big Rapids/Fremont. Upon joining our team in 2014 he has completed our SERVPRO Employee Certification Training Program. Harold takes care of all of our state of art equipment that we use on the job sites every day. Making sure that everything is running and working properly. He is always ready and willing to help with anything that comes our way.